because I enjoyed them so much, I’ve decided to continue the author excerpts year round. So, in the spirit of spreading the indie author love, I’ll occasionally post excerpts of other authors work. If you’re interested in being featured then please send an excerpt between 500 – 1,000 words, an author bio, links where readers can buy your book, your website or blog link and, if you like, a book cover and/or short blurb about your book to Joleene (at) JoleeneNaylor.com. Excerpts will be posted on a first come, first serve basis. If you need some advice about how to choose your excerpt, Edie Ramer has a great article with plenty of advice that you should check out! What genres am I accepting? Any genre, really. Though I write primarily paranormal romance/thrillers, I have a varied audience. Strong language, hot scenes, and violence are all accepted. 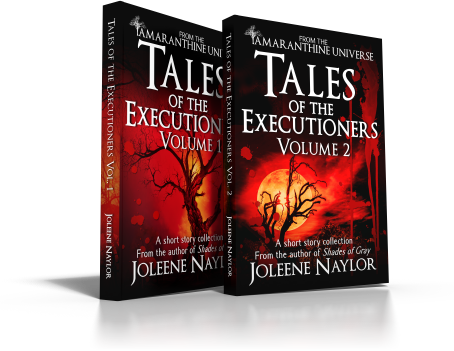 Short stories from the world of Amaranthine; a universe of blood and darkness where vampires don't sparkle and night is eternal. 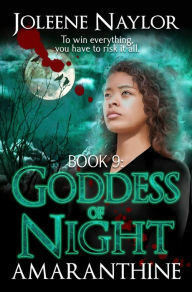 Each is about a member of the Executioners squad; the special vampire "police" force. Members both past and present share stories of assignments, origins, and more. Dark, light, love, laughter, death...you never know what you'll find in the shadows. Find out how to get a short excerpt of your novel featured on my blog! Check out Authorgraph.com to get your digital ebooks autographed!